The dollar remained weak in spite of a strong economic data and gold was once again in demand acting a hedging tool against inflationary pressure. Gold prices edged higher on Friday, heading for their biggest weekly percentage gain in nearly two years, buoyed by a weaker U.S. dollar and as investors looked to hedge against inflation. After April 29, 2016, we saw gold rising more than 3 percent in a week. Spot gold was up 0.4 percent at $1,358.40 an ounce on Friday, after touching a three-week high of $1,360. There was high demand for gold ahead of the Chinese New year. This rising demand along with a weak dollar pushed gold prices higher. in two years, as bearish factors offset to support the U.S. currency could take from rising Treasury yields. There were strong gains in the cost of gasoline and health care. The Labour Department said its producer price index for final demand rose 0.4 percent last month after being unchanged in December. Seasonally adjusted 230,000 for the week ended Feb. 10. Gold continues to carry its shine in the second month of the year. The sspillovereffect continued for gold in Feb as we saw the yellow metal gaining positive traction for the fifth consecutive session on Friday and moved within striking distance of multi-month tops, set in January. Over the last couple of weeks, we have seen a lot of things happening globally. And the most important was the stock market pullback that the world markets witnessed a couple of weeks back. This volatility kept investors focussed on rising bond yields (inflation) and potential interest rate hikes. There is a lot of uncertainty and volatility prevailing in the markets and one sector that totally benefits from such a crisis is the commodities sectors, precisely bullion. The yield on the 10-year US Treasury bill hit 2.88% and gold resisted its usual trend of moving inversely with the dollar by gaining six-tenths of a percent to $1,345 an ounce. The higher the rate of inflation, or expectation of inflation, the more yields rise because bond investors demand higher yields to be compensated for inflation risk. Commodities can be the beneficiary of higher bond yields especially if long-term interest rates rise. The USD has dropped in relation to other competing currencies, such as the euro, the pound and the yen. Rising inflation is also diminishing the value of the dollar is diminished. Moreover, uncertainty about US trade relationships has also weighed on the greenback. Most of the gold market is driven by investment, but there are some interesting things happening that makes this a very good time to consider an investment in gold or gold stocks. 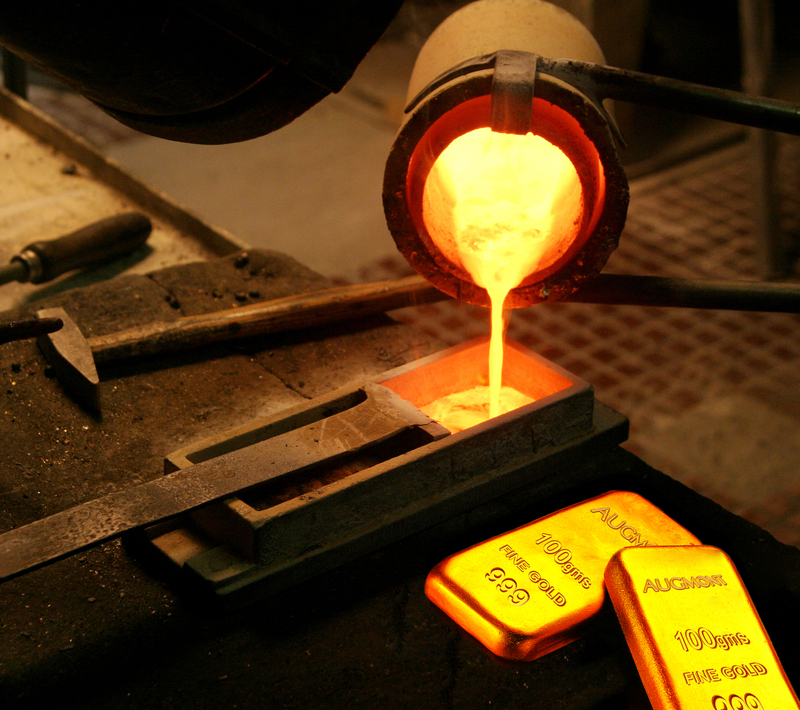 Simply put, the world is running out of gold, especially the stuff that’s high grade and easy to find, and this makes me bullish on the precious metal – irrespective of all the familiar demand factors like the safe haven, inflation hedge, and store of value. Till 2014, commodities were not considered to be a real fund puller. Many kept away from the billions as there were other options, like rising equities where investors plowed their money. But now, that the precious metals are giving incredible returns and also proving to be safe haven assets, its time that investors start rethinking of parking their funds into this sector that continues to gather momentum in 2018.